Many of us are longing to experience a season of joy, but we feel winter’s darkness spreading in the midst of relentless violence, cruelty, and dehumanization. Here at the Revolutionary Love Project, we believe that if we pause to breathe together, we can find wisdom, even joy, inside the struggle. 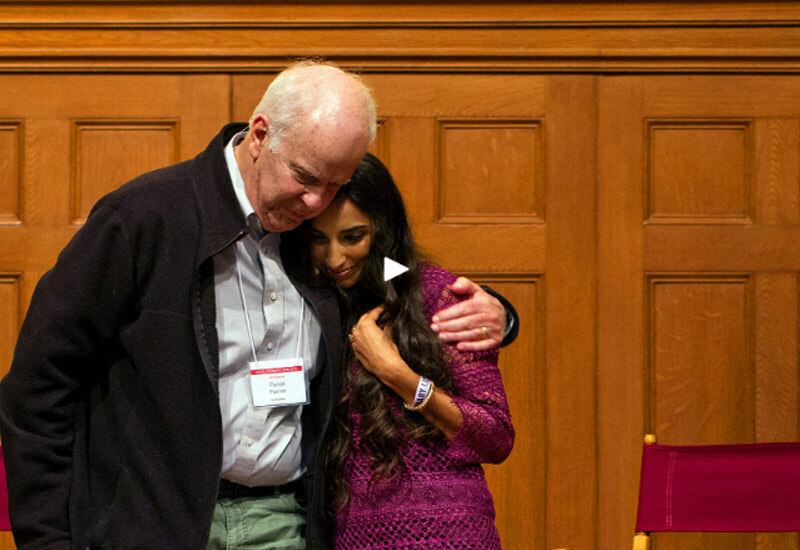 Watch their conversation before a live audience as they reflect on life and death and love. Then check out Parker’s marvelous new book On the Brink of Everything: Grace, Gravity, and Getting Old, which includes a feature of our work at the Revolutionary Love Project! May you breathe deeply this holiday season. May you be safe and sustained by love. 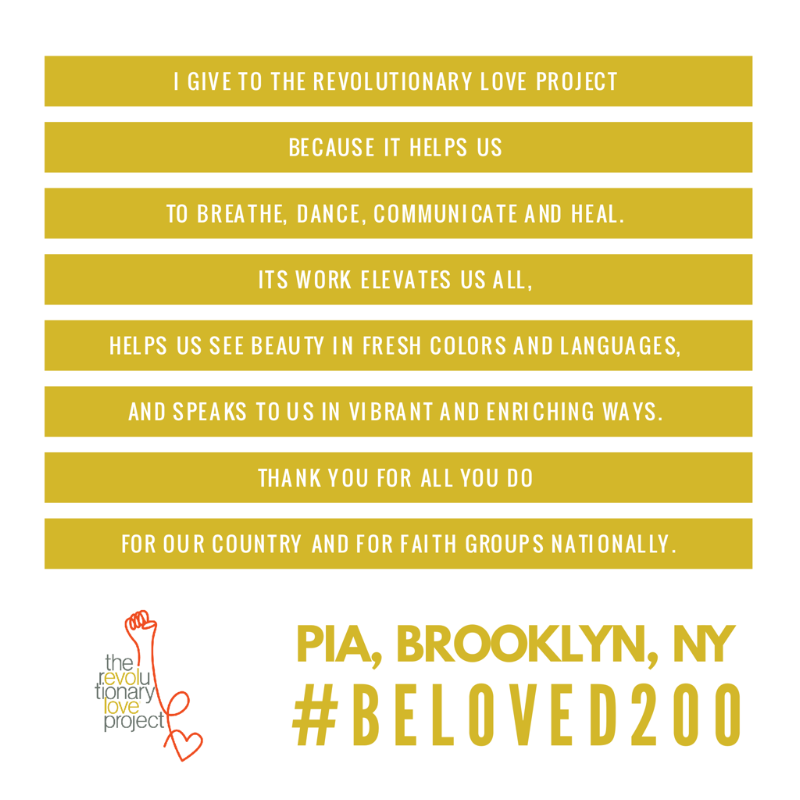 We are seeking 200 people to become monthly donors and pledge $15/month to sustain our work. We began to put out the ask on social media last month and many of you answered our call! We are nearly HALF WAY THERE! Wow! Thank you! Our donors receive a thank you gift + will be the first to learn about the work we produce before it’s released. If you haven’t yet donated, please click here to join us!